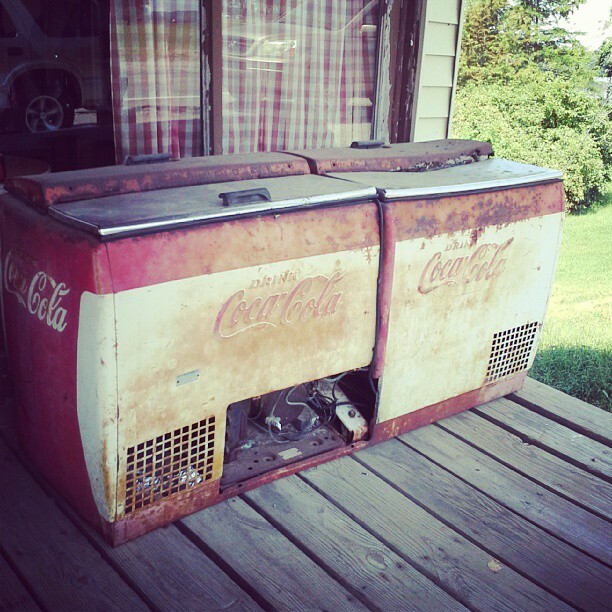 I love finding antiques in a store or old pictures when sorting through things or antiques while out driving through the back roads. 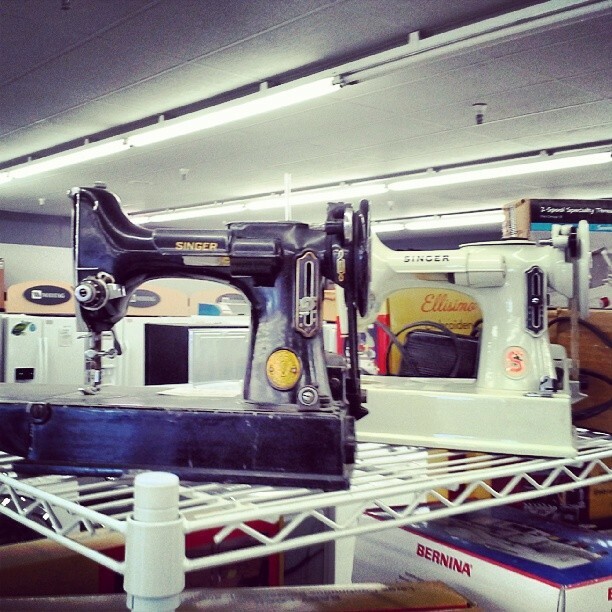 An old sewing machine I saw while browsing a sewing machine shop with my grandma. 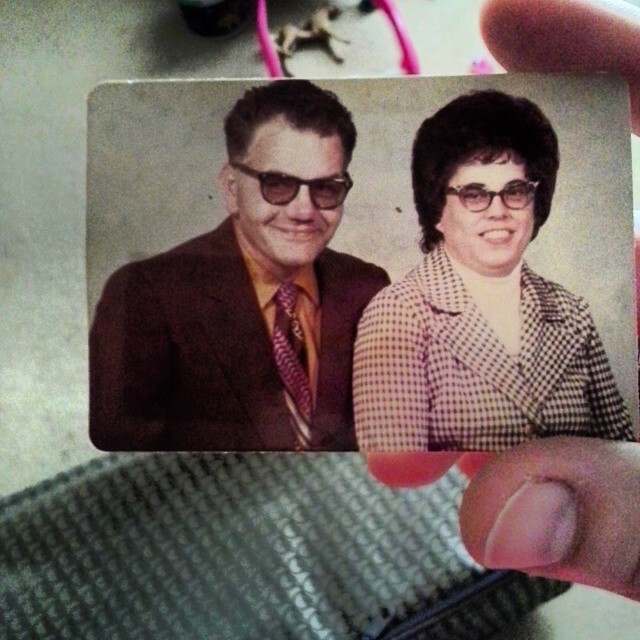 My grandma showed me a picture of her and my grandpa taken many years ago. What a beautiful couple. 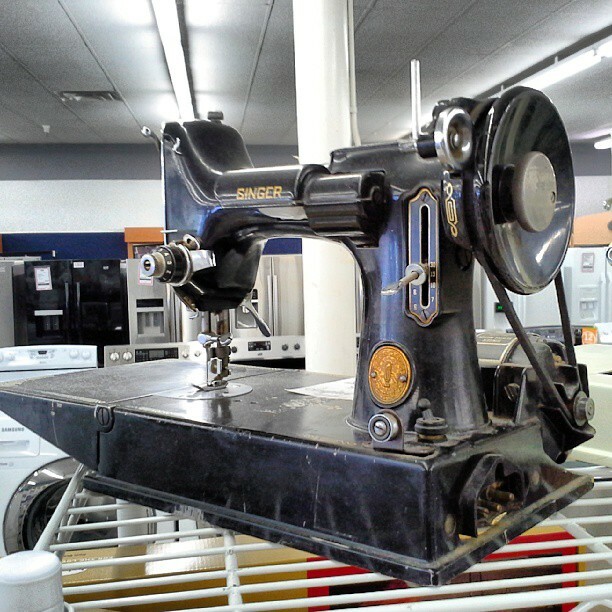 This entry was posted in Blog, History, Photo Challenge, Travel and tagged 50 years, antique, collectors items, family, old portraits, old things, photo-challenge, photography on February 18, 2014 by JenniferNAdams.